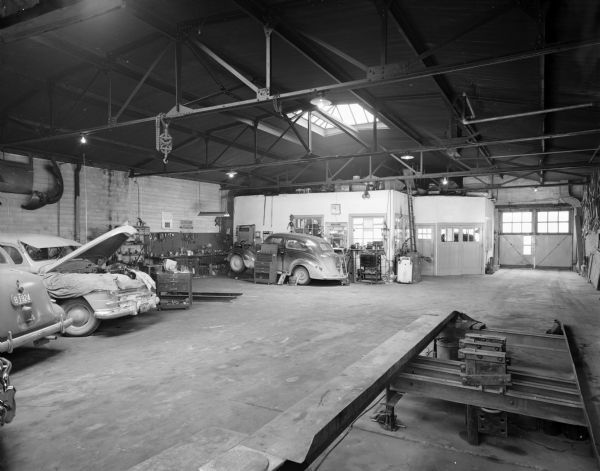 Interior view of the garage. In the foreground is a lift, and in the background on the left is the office, which is under a skylight. Garage doors are to the right of the office. Cars are parked on the left, and one has the hood lifted and tarps have been places around the engine. Another car is near the office, and the front is raised up on ramps. Tools and workbenches are along the wall and on carts, and parts are hanging on the walls.